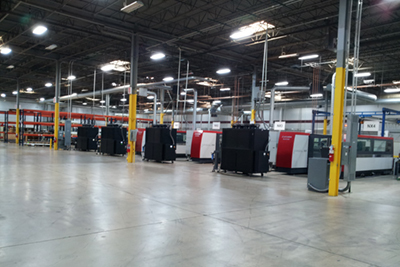 Laser Technologies is the largest electrical steel lamination laser cutter in North America. To date we have 26 CNC Laser machines working around the clock with over 227,700 hours of available capacity per year to laser cut your motor, generator, and transformer laminations. 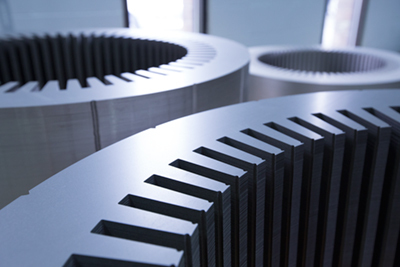 Our expertise in laser cutting is unsurpassed by any other laser cut lamination supplier. Established in 1985, Laser Technologies was the first company in the United States to bring "laser cutting technology" to the world of laminations. Laser Technologies offers high flexibility and customized lamination laser cutting services to fulfill your company's individual production needs. No job is too big or too small for our company, and every job has a built-in contingency plan to assure your product is delivered on time. 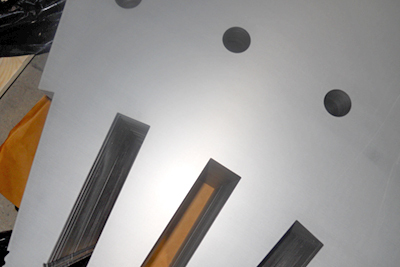 Our core competency is laser cutting thin gauge materials with tight tolerances. 26 Laser Cutting Machines with work envelopes ranging from 24" x 24" up to 60" x 120"
Laser Cut material thickness from .003" to 1"
Reverse engineering is a process we use to generate a drawing of an existing custom component when the original drawings are no longer available. We start by taking precise measurements of the workpiece using an Optical Coordinate Measuring Machine (CMM), Probe type measuring machine, or precision Faro measuring arm. Once all data points are established, our engineers convert this data into dimensional manufacturing drawings or 3D Solidworks models. Optical Coordinate Measuring Machine (CMM) - This piece of equipment is a non-contact measuring machine excellent for reverse engineering existing workpieces when drawings are not available. Measuring accuracies are rated to a range of .00020". Maximum measuring envelope is 60"x48"x6". Probe Style CMM - This piece of measuring equipment is a contact measuring machine used for reverse engineering component parts and assemblies. Measuring accuracies are rated to 4.9 = 5L/1000um. Maximum measuring envelope is 47.25"x 118.11"x 39.37". Faro Measuring Arm (CMM) - This piece of equipment is a 6-axis measuring arm used for reverse engineering fabricated assemblies which do not fit on the Probe style CMM. Volumetric Accuracy is rated at +/- .0009". Maximum measuring envelope is 72" x 72" x 72"
© 2019 Laser Technologies, Inc. All Rights Reserved.